Syllabus of the Online Course (Subject): Eurasian Economic Union (EEU). 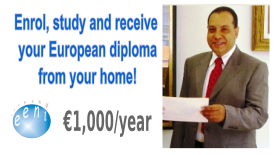 Description of the Online Course: Eurasian Economic Union (EEU). The Eurasian Economic Union (EEU) is a Eurasian economic bloc of integration formed by Armenia, Belarus, Kazakhstan, the Kyrgyz Republic, and Russia. 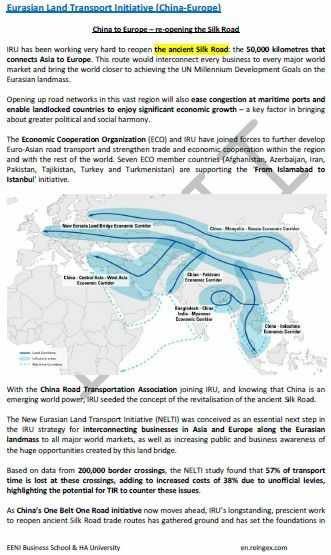 NOTE: Belarus, Kazakhstan, Kyrgyzstan, and Russia also are members of the Eurasian Economic Community (EurAsEC). 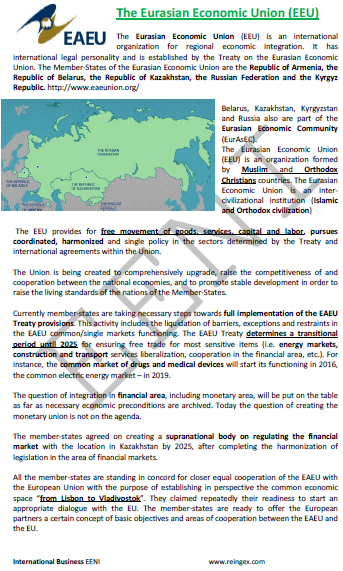 The main objective of the Eurasian Economic Union (EEU) is to achieve free movement of products, services, labour, and capital between member countries. 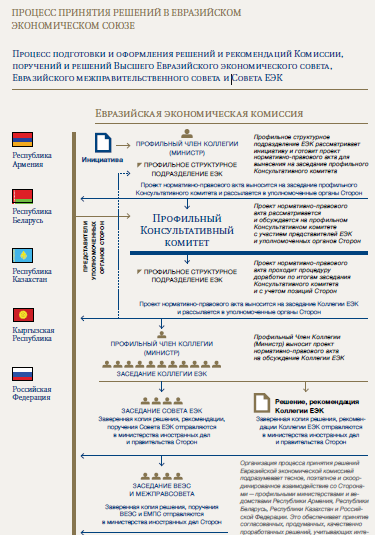 The Eurasian Economic Commission is the regulatory agency of the Eurasian Economic Union.